Paintings from the Italian Renaissance, a statue of Elvis with a neon halo, and a stuffed giraffe. A collection of grimacing masks, Dutch masters, and a Second World War fighter plane. 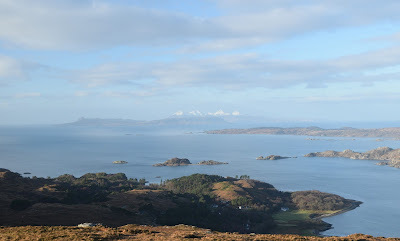 Prehistoric carvings, a classical organ concert, and a good quality square meal. Meeting friends for the weekend, kids wandering about amused, and high Victorian architecture. 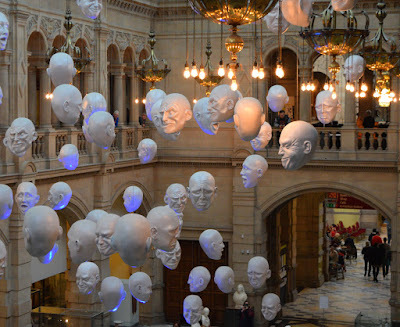 The answer is they are all exhibits in the Kelvingrove Museum and Art Gallery. This museum and art gallery has a good claim on being Britain's most loved. Partly this is because of how the museum is funded and controlled. London has the vast British Museum, glory hole of the empire, and the UK's free, centrally funded galleries of traditional and modern art. Edinburgh has Scotland's nationally funded galleries, and the National Museum of Scotland on Chambers St that tells Scotland's story. 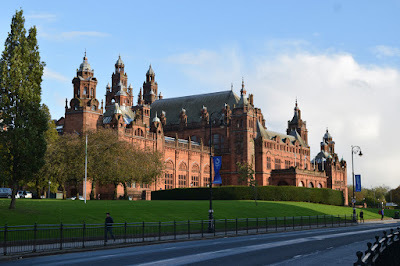 But the Kelvingrove is run and funded entirely by Glasgow City Council. I think this makes the difference. Londoners and Edinburghers are proud of their cultural assets, but somehow they are only really keeping them for the benefit and edification of the whole nation. 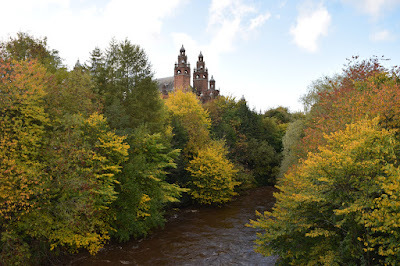 To a Glaswegian, the Kelvingrove is theirs. It even has its own urban legend. Every child from Glasgow and the surrounding area visits the Kelvingrove as part of their education. This cements affection at an early age. It is no stuffy museum, but a cornucopia of curios and artefacts. And there is one artefact that every Weegie child remembers. Having had a Kelvingrove childhood myself, I can tell you what it is. Salvador Dali's Christ of St John of the Cross. Today this painting hangs in its own special room, surrounded by interpretation boards. Back in 19-oatcake though, it hung at the end of a long corridor. The powerful perspective effect of the painting was enhanced by this previous setting. You know when you don't know anything about a subject, but you see a work of genius and you instantly just know it's something special? It could be a tone-deaf person hearing Johnny Cash's voice. It could be a someone with no interest in sport watching George Best dancing round the opposition like they aren't there. It could be a snotty-nosed child encountering this painting for the first time. In the film The Monuments Men, the story climaxes with the recovery of Van Eyck's stolen Lamb of God. Had the film been set in Glasgow, it is clear to any lover of the Kelvingrove that Dali's Christ of St John of the Cross would be the stand in. After a visit to the gallery, the rain stopped and the sun came out. As I mentioned in a previous post, the area around the Kelvingrove makes a wonderful leafy autumn walk. Why not visit while the colours are still at their best?